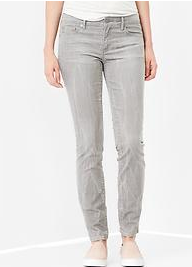 Home > Clothing Deals > Gap & Old Navy Coupon Codes: 35% off + Free Shipping Today Only! 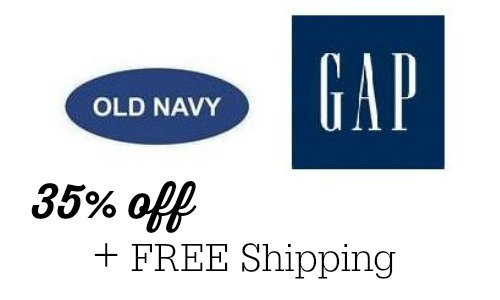 Gap & Old Navy Coupon Codes: 35% off + Free Shipping Today Only! 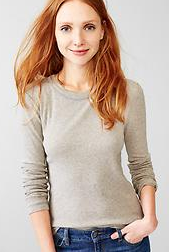 Today only you can make some awesome deals at Gap and Old Navy with two stackable coupon codes! It’s a rare day to get free shipping and a discount at these stores, so don’t miss your moment. Make sure to check out the sale sections at each store to save the most. Both codes expire tonight at midnight (no pressure). I found shirts starting at $8 and pants for $15 after the coupon codes! What did you grab?